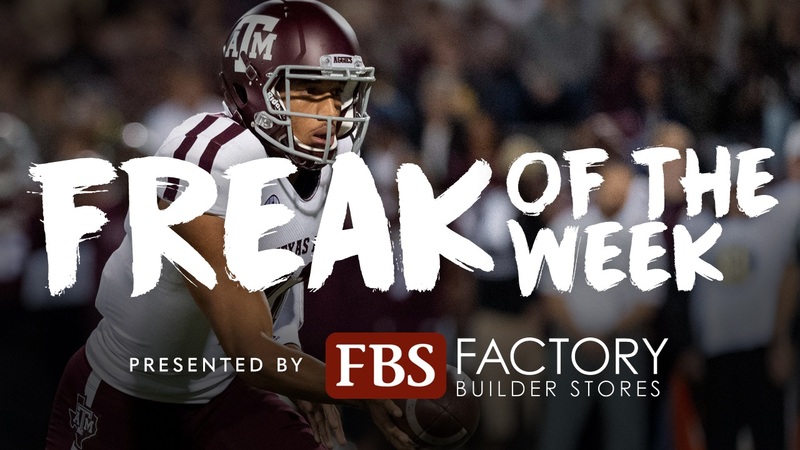 Each week during the 2018 season, Billy Liucci and the McKinney brothers will nominate an A&M football player for the Factory Built Freak of the week presented by the Factory Builder Store. Steve: Secondary, can we show up this week? They need to be the freak of the week and show up this weekend against Ole Miss. Quit giving up the explosive plays and wrap up. Seth: Kellen Mond, the guy has to have a better game this week. I need to see him make better decisions and get it done this week. We need him to complete the long ball. Billy: Trayveon Williams, he had a breakthrough against a great defense at Auburn. He should have a big performance against a bad Ole Miss line this week. Factory Builder Stores has 7 showrooms across Texas with more than 40 different brands of appliances & cabinets. When you shop with FBS you will get the best products at the best price with superior customer service. Visit us today!